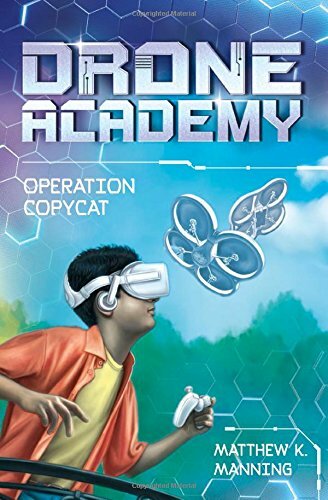 Out now from Stone Arch Books is my newest series of chapter books, Drone Academy. 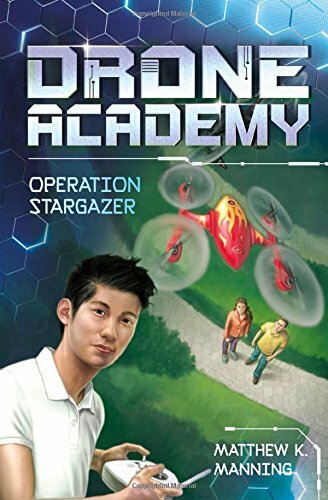 These 112-page books intended for kids ages 9-13 chronicle the adventures of the members of the Drone Academy message board, a secret society of teenage ace drone pilots. 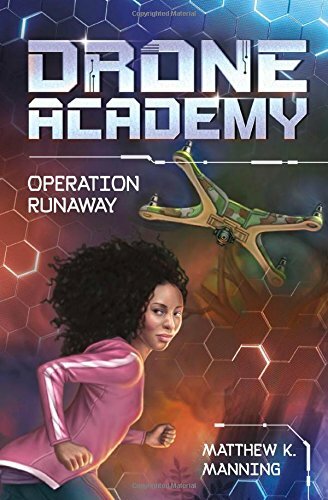 Despite the fact that she's a founding member of Drone Academy, Zora Michaels is viewed as a flighty girly-girl by the other kids at her high school. Masking her genius-level intellect with the latest clothing trends and her popular group of friends, Zora's real passion lies behind her keyboard. But when the younger brother of one of the school's least popular students goes missing, Zora begins to search for the runaway using her tough-as-nails drone. Things get complicated when a nearby forest fire endangers the boy's life. Zora must coordinate with local firefighters to locate and rescue the runaway, all while keeping her identity a secret from her increasingly nosey peers. From being the first female on the school’s wrestling team to excelling at martial arts, Parker Reading has always been interested in thinking and playing outside the box. 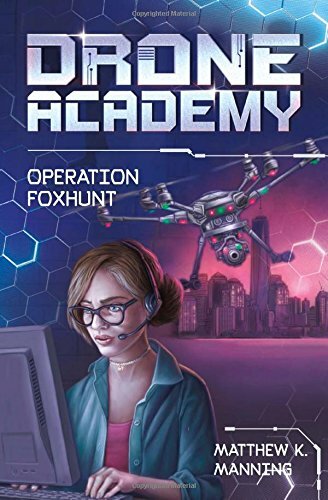 While her daily life is filled with athletics that challenge her body, Parker spends the rest of her free time challenging her mind as an amateur computer hacker and member of Drone Academy. When she learns that a local bank robber has eluded authorities in her hometown, Parker begins to hunt him down, using her computer skills and sleek drone to scan the streets of her city, following clues that lead to the criminal’s location. But when the thief employs similar methods to track down his pursuer, Parker goes from being in virtual danger, to putting her real life in jeopardy. Growing up with financial worries and only a single dad looking out for him, Sai Patel found escape on the Internet. And as a founding member of Drone Academy, Sai takes every opportunity to stand up for underdogs being cyber-bullied. But after ousting a particularly nasty bully from the SWARM boards, Sai’s life takes a dramatic turn when his nemesis customizes a drone to look exactly like Sai’s, using it to commit theft, interrupt emergency rescues, and cause as much trouble as possible. Framed for crimes he didn’t commit, Sai must prove his innocence to his friends and the law, using his own drone to bring its doppelganger to justice. While Howard To has always been on the geeky side, there's one girl that brings him out of his shell. Unfortunately, she’s Hollywood’s hottest sci-fi star and about as likely to cross Howard’s path as he is likely to be struck by lightning. But when the starlet is hounded by a stalker who uses a drone to spy on her private life, Howard sees his chance to be a knight in shining armor. He employs his own drone to engage in aerial combat with the stalker’s UAV, despite complaints from Parker, a fellow Drone Academy member. In the process, Howard also realizes his chance at romance may be closer to home than he realizes. Do you know when AR quizzes will be written for this series of books? "He gave us a signal..."